F&F Productions is getting into 4K HDR production. Its new GTX-18 truck, comprising a double-expandable A unit and a B unit, will make its debut this weekend in Anaheim, producing the Jon Jones/Daniel Cormier UFC PPFV fight offered to AT&T Entertainment/DirecTV viewers in UHD. GTX-18’s 4K monitor wall with 18 31-in. 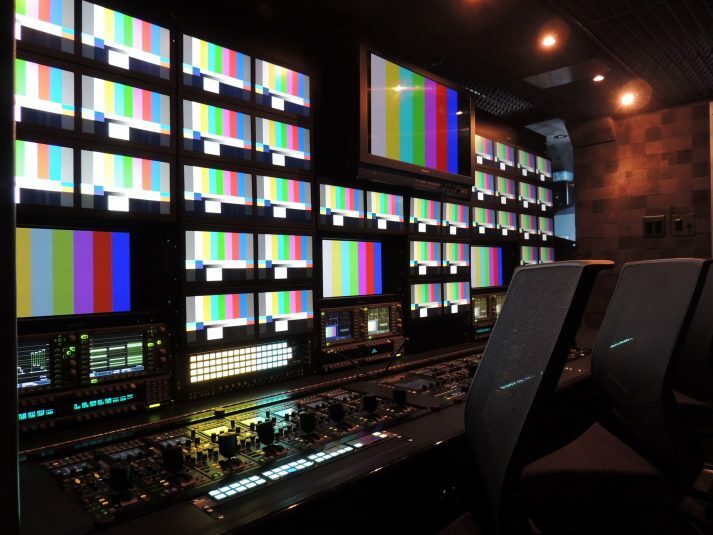 custom Boland 4K monitors provides the production team with high-quality images. It was important, he explains, that the signal remain in native 4K UHD resolution throughout acquisition and distribution and that clients are pleased with the choices made, including Sony HDC-4300 cameras that are fully unlocked, 4K UHD lenses, and true 4K monitor walls throughout the unit. The video area features a Sony 30-in. BVMX 300-2 4K monitor and Tektronic 4K vectorscopes. The camera and lens complement comprises 14 Sony HDC-4300 and two Sony HDCP-43 cameras that are fully unlocked, four Sony super-slo-mo systems, and 17 Fujinon UHD lenses with eight of the new Fujinon 107×8.4 long lenses and nine handheld/wide-angle lenses. The video area houses a Sony 30-in. BVMX 300-2 4K monitor and Tektronic 4K vectorscopes. 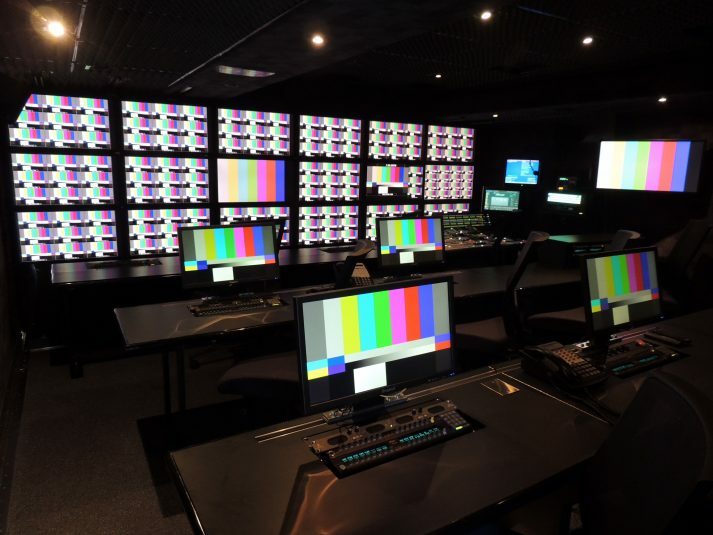 The replay area boasts four 12-channel EVS HD XT4K systems with super-slo-mo, two EVS HD XFile3 archive stations, an EVS Sports Net3 hub, an IPDirector, eight KiPro UHD recorders with 1-TB drives, a Panasonic DVCPRO deck, and a Sony HDCAM deck. There are also four Blackmagic Design 4K video assist recorders with dual SD card and USB thumb drive. Audio production centers on a Calrec Artemis Beam V8 digital console with Bluefin2. 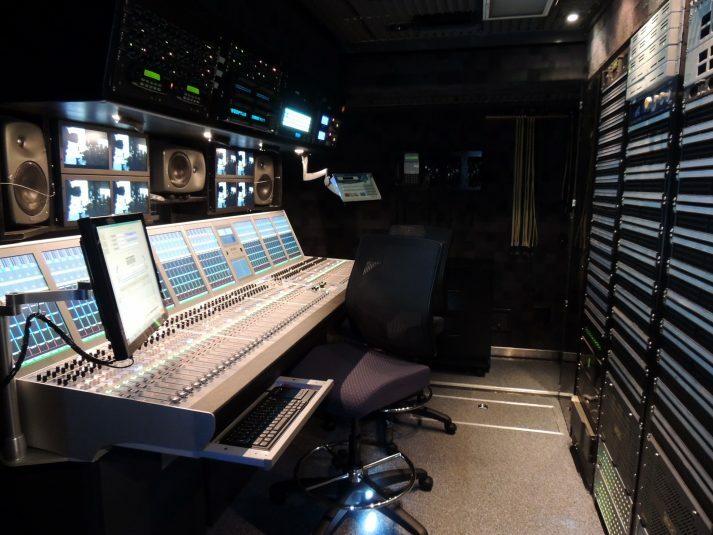 The audio area features a Calrec Artemis Beam V8 digital console with Bluefin2 (64 faders), Genelec 5.1-surround-sound monitoring, Yamaha SPX2000 multi-effects processor, Rane audio delays, dbx 166 XL compressors, two dbx 1046 quad compressors, and more. Following the UFC event in Anaheim, GTX-18 will handle the PGA Championship at Quail Hollow Club in Charlotte, NC, for CBS/DirecTV and then Telemundo’s Premious Tu Mundo (Your World Awards) in Miami.